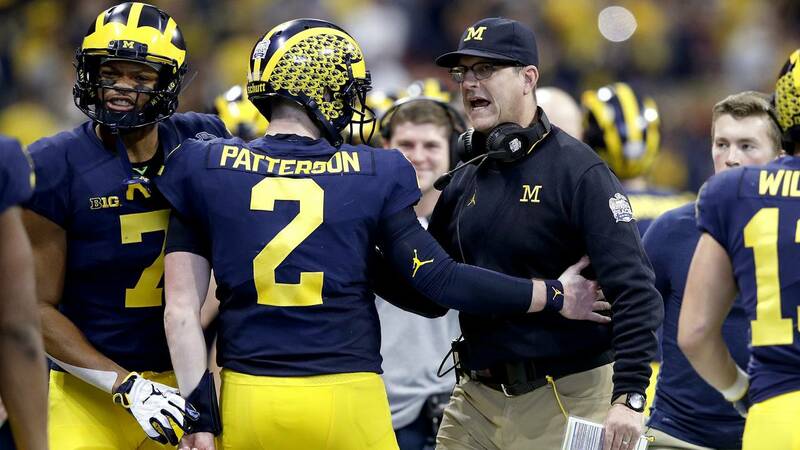 ANN ARBOR, Mich. - Something finally went right for the Michigan football program. At least, that was the vibe from the fan base after the school announced it had hired former Alabama wide receivers coach and co-offensive coordinator Josh Gattis as its new offensive coordinator. The tone of doom and gloom on social media turned to one of hope and excitement. Jim Harbaugh emerged from radio silence to stem the flow of negative momentum for a program used to winning the offseason. Part of the reason the Gattis news was so well-received was Michigan fans longing for any news that wasn't bad news. After winning 10 straight games to go into Columbus as the favorite to win the Big Ten and go to the College Football Playoff, things went south quickly for Michigan. It surrendered a record 62 points to Ohio State and watched any chance at a Big Ten title evaporate. Then, after settling for a Peach Bowl appearance, the team got crushed by Florida to finish the season 10-3 for the third time in four years. The Wolverines, once No. 4 in the CFP poll, finished at No. 14 in the AP poll. This week brought two more body blows, as longtime assistant coach Greg Mattison and rising recruiter Al Washington both left the Wolverines to join Ryan Day's coaching staff at Ohio State. Pictures of Mattison wearing scarlet and gray emerged almost immediately, nauseating the Michigan faithful. 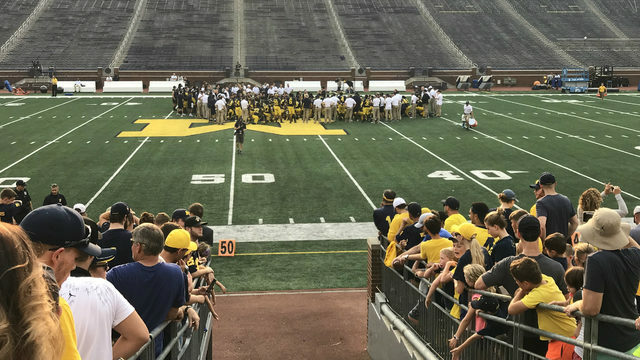 There was impatience and frustration oozing out of the Maize and Blue community. Then, Thursday happened. When Harbaugh added Gattis to the staff, it satisfied the segment of the fan base that needed to see evidence that the program was still moving forward. 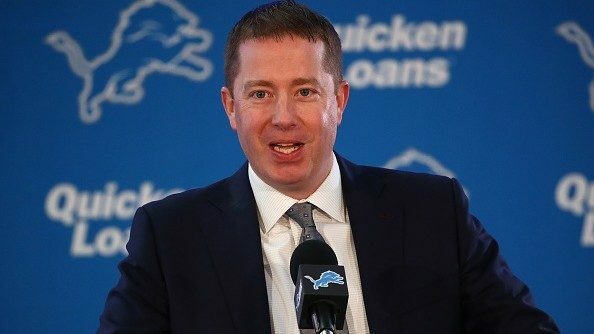 Will he be a good fit? That remains to be seen. But he at least appears to be a bright, young offensive mind. Michigan needed some good news. That just happened to come in the form of a new offensive coordinator. The season ended on such a sour note, there was almost nothing positive to take from the final two games. But more than anything, Michigan fans want the team to open up the offense. Michigan's offensive struggles were amplified against Florida, with Karan Higdon absent and a strong Gators front shutting down the run. Fans were frustrated by Michigan's 30 rush attempts for a paltry 2.6 yards per carry. Even when Florida went up one, two, three scores in the second half, Michigan stuck with the running game. Right or wrong, it rubbed fans the wrong way. They wanted to see more of Donovan Peoples-Jones, Nico Collins and Tarik Black, a wide receiver trio that ranks among the most talented in the nation. All highly coveted recruits in the 2017 class, these three receivers are considered among the best players on the team. Peoples-Jones and Collins were certainly the top weapons for Shea Patterson this season, while Black beat them both out for the No. 1 receiver spot in 2017 before suffering an injury. They combined for 15 catches in the Peach Bowl, but many of them came when it was already too late. 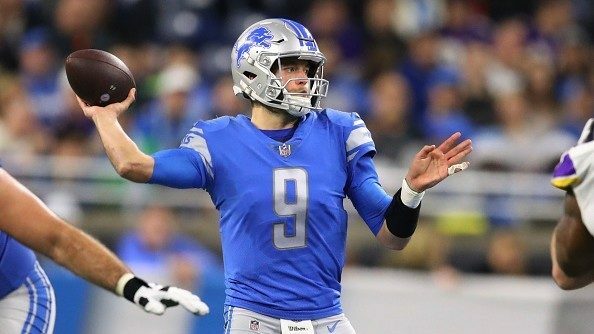 The Gattis hire appears to represent a willingness by Harbaugh to commit more to the passing game, especially if he lets Gattis call the offensive plays. Alabama, like Michigan, has a longstanding tradition of running the ball between the tackles and wearing out opponents in the trenches. But in the last few years, head coach Nick Saban evolved and adapted a more modern offensive scheme, passing more and allowing his best players to get the ball in space. Harbaugh likely hopes Gattis can bring some of that change to Ann Arbor. That seems to be the consensus from fans, as well. 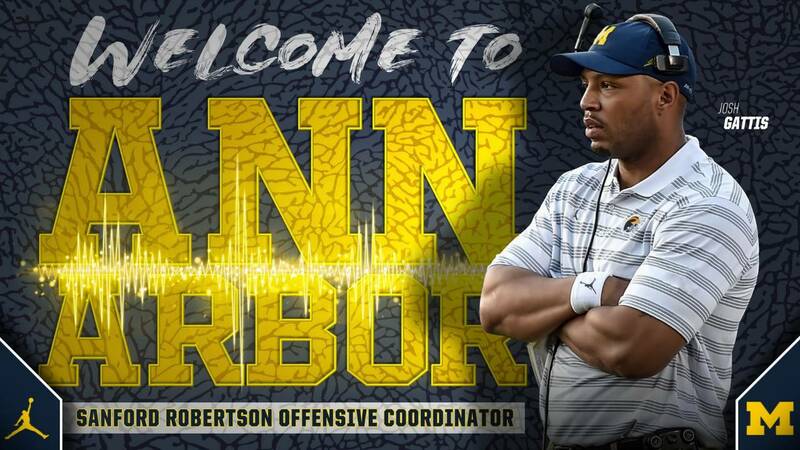 Harbaugh has done an excellent job hiring assistant coaches while at Michigan. There's been plenty of turnover, but that's mostly because coaches are taking promotions at other schools, such as Jedd Fisch, D.J. Durkin, Mattison and Washington. Those coaches have been replaced with the likes of Don Brown, Chris Partridge and Ed Warinner, who have been either highly successful on the field or excellent on the recruiting trail. Gattis, however, is a different mold. He's 34 years old and comes from the greatest dynasty in the history of the sport. While at Alabama, he helped Jerry Jeudy win the Biletnikoff Award for the nation's top receiver and mentored freshman Jaylen Waddle to a 45-catch, 848-yard campaign. Harbaugh is 55 years old. Brown is 63. Warinner is 57. 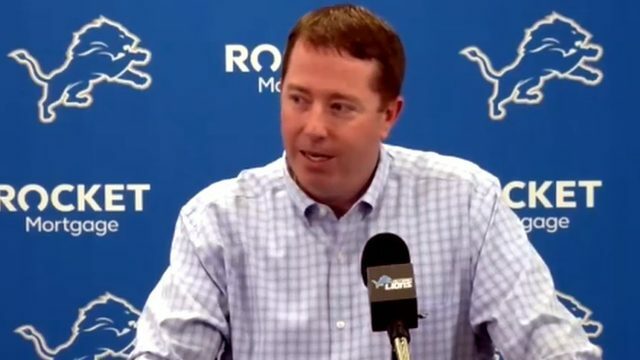 Michigan's staff doesn't have many young coaches with knowledge of modern offenses, but that's what Gattis brings to the table. Alabama averaged 11.1 yards per pass attempt this season, second only to the historic Oklahoma offense led by Heisman Trophy winner Kyler Murray. That was partly due to the accuracy of Tua Tagovailoa and partly due to a coaching staff that really understood how to run an offense in 2018. Gattis was also one of Alabama's best recruiters last season and was named Big Ten Recruiter of the Year in 2015 by Scout.com while with Penn State. The Michigan coaching staff brought in the best recruiting class in the Big Ten this offseason, but needed to make a splash to make up for the losses of Mattison and Washington to Ohio State. Gattis helps fill that void. There's certainly some unknown with Gattis, who has never fully held the reins to an offense, especially one as highly scrutinized as Michigan's will be next season. The excitement surrounding Gattis is more likely excitement about the idea of Gattis. It's the first sign that the Michigan coaching staff is acknowledging their shortcomings and making moves to address them. Michigan won't look like a Mike Leach air raid offense under Gattis, and there will still be plenty of emphasis on the run. But it's obvious the Wolverines are committing to a modernization of the offense, which is exactly what the fans wanted. It's not a slam dunk that Gattis will succeed in Ann Arbor, but this certainly seems like another good hire by Harbaugh.